The setup for this month's episode. It’s an all-new Eight Piece Box for March 2016! Last weekend Tamara and I went to Louisville for the Bourbon Classic, one of the bourbon industry’s biggest annual shindigs. 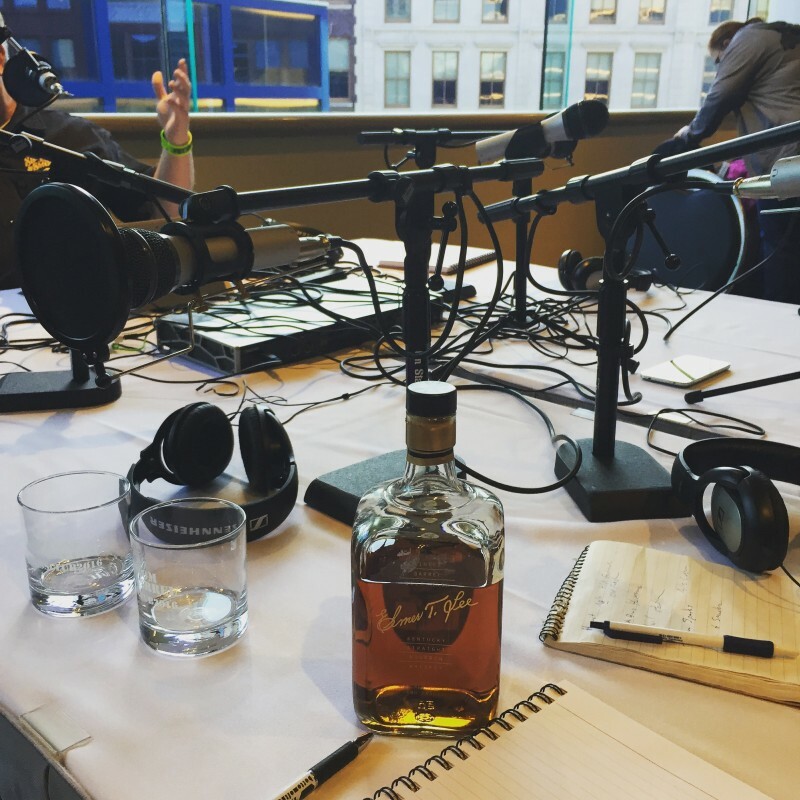 And for a couple of days before that, we joined a bunch of our favorite bourbon bloggers and podcasters for some distillery tours, tastings, and general revelry. Not one to let a good time get in the way of quality journalism, I offered to host a mass podcast that all of us could post as an episode. The original idea was to gather up in somebody’s hotel room around my USB mic, but we ended up with our own space at the Kentucky Center for the Arts and a pro sound setup. 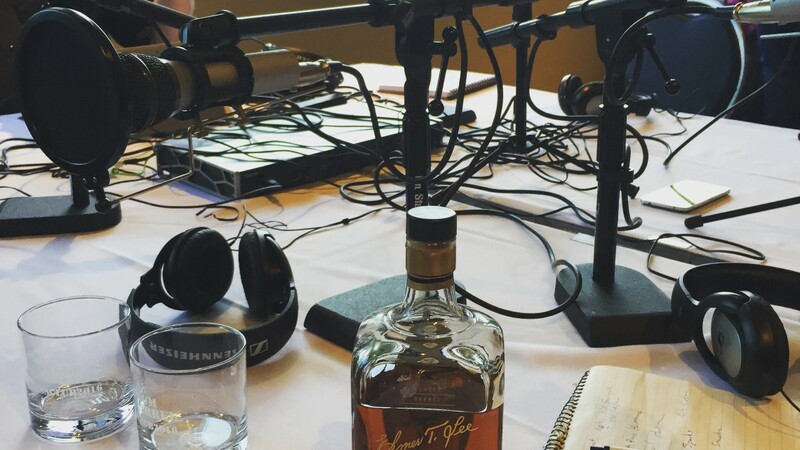 We had a blast recounting our trips to Kentucky Peerless Distilling, Copper and Kings, Four Roses, and the Old Taylor Distillery (now known as Castle & Key). We mused about the cocktails at Friday night’s Bourbon Classic cocktail competition. And we ended with a roundup of our favorite bourbon topics, including bargain bottles, gift bottles, disappearing age statements, accelerated aging, and up-and-coming distilleries. Huge thanks to everybody who helped us pull this off–in all my years of doing radio, this was one of my favorite things I’ve done. Thanks for listening! And if you haven’t, be sure to subscribe on iTunes! Next post This week on EPB: Nashville Now!